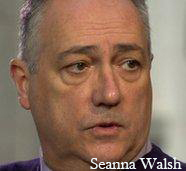 Labhair Séanna Walsh dluth-chara de Bobby mar príomh-chainteoir ag an seoladh leabhair. Sé bliana is tríocha i ndiaidh á scríobh, sheol muid an leabhar beag cumhachtach i gCultúrlann MacAdam Ó Fiach. Tá sé ar fáil anois as Béarla, Francais, Iodálais agus Gailísis le níos mó ná 30 bliain agus bhí sliochtanna de ar fáil as Gaeilge. Ach go dtí seo, mar a dúirt Seán MagUidhir a d’aistrigh, ní raibh leabhar iomlán déanta. Mar sin, is le bród agus le grá gur aontaigh mé bheith páirteach san imeacht. Socraíodh an seoladh mar chuid den fhéile ‘Liú Lúnasa’ agus labhair Caoimhe Ní Chathail ar dtús fá na himeachtaí eile fud fad na cathrach. 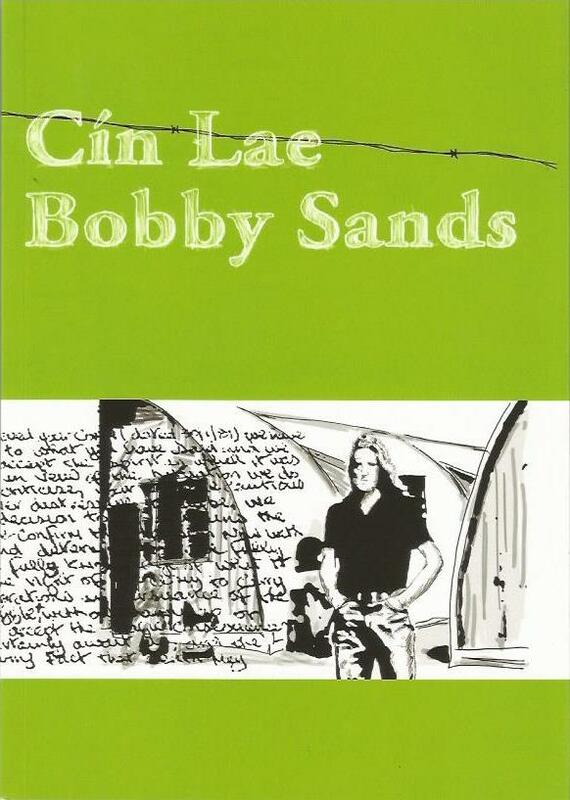 Ansin chuir Dónal Mac Ghiolla Choille mé féin in aithne don lucht féachanna chun labhairt ar Bobby Sands – An fear. Chríochnaigh muid le smaointí Sheáin Mag Uidhir ar na fathanna agus an inspioráid a spreag an t-aistriúchán. Labhair mé fá dtaobh den chéad uair a bhuail mé le Bobby, muid beirt inár ndéagóirí agus ‘stádas polaitiúil’ ag cimí Poblachta an tuaiscirt, i bpríosún na Ceise Fada. Mhínigh mé nach duine as an choitianta é Bobby ag an am sin, fear óg cosúil leis na céadta, na mílte eile fir óga. Bhí an-tsuim aige sa Ghaeilge, ag freastal ar ranganna Phroinsias Mac Áirt agus ansin ag teagasc na ceachtanna sin do bhunfhoghlaimeoirí. Chuir sé suim sna réabhlóidí ó Mheiricea Theas don Aifric don Áis Theas. Nuair a scaoileadh saor é i Mí Márta ’76 bhunaigh Bobby Cumann Sinn Féin, Slua na Fianna, na ‘Auxies’ agus ghlac muintir s’againn smacht ar an Choiste Tionnantaí áitiúil. Thosaigh sé ‘oíche shoisialta’ chomh maith agus i measc na n-amhráin reibiliúnach bhí an corr-raiteas ó na hóglaigh sa cheantar. Bunaíodh nuacht-litir ‘Liberty’ agus go fírinneach cé go raibh píosa nó dó scríofa aige agus muid faoi ghlas sna Cásanna, b’é seo an tús dó ag scríobh go rialta. Ach taobh istigh de trí mhí rugadh orm arís le raidhfil agus ar ais arís sa Chrum domh. Dhá mhí ina dhiaidh shiúil Bobby agus a chomrádaithe isteach sa chlós den Chrum chomh maith. Dhírigh sé isteach sa streachailt le stádas polaitiúil a bhaint amach le fuinneamh ‘is diongbháilteacht. Bhí Keiran Nugent ar an agóid pluide cheana féin. Thosaigh Bobby ar fheachtas litreacha chuig na nuachtáin. Lean sé leis an nuachtlitir áitiúil ar feadh tamaillín. Sheas sé chun tosaigh mar cheannaire. Nuair a daoradh é bliain ina dhiaidh os rud é gur thuig sé tabhacht an fhocail scríofa, thosaigh sé ar alt rialta san APRN, faoi ainm ‘Marcella’ (deirfiúir s’aige) Ba léir do chách a bhuail leis nó a labhair leis ag an am seo gur fear óg tiománta agus cróga a bhí ann. Athrú ollmhór ón lead óg ‘Devil may care’ a bhuail mé leis 5 bhliain roimhe. Nuair a theip ar an chéad stailc ocrais agus ar an idirbheartaíocht ina dhiaidh d’ullmhaigh Bobby don darna stailc. Thuig sé go mbeadh sé ina ‘throid chun bhás’ nuair a dúirt rialtóir an phríosúin leis ‘What are you gonna do now, Sands? Another hunger strike? I don’t think so…’ Chreid siad go raibh na cimí buailte, níor thuig siad meoin na gcimí, níor thuig siad Bobby Sands. Mar a deirtear as Béarla, ‘Cometh the hour, cometh the man’ agus sheas Bobby chun tosaigh, sa Bhearna Baoil, é féin ar an chéad duine. Fear le fís, daingne, agus misneach. Bhí sé ina cheannaire againn, cara, bráthair, óglach go smior, agus é ina MP nuair a d’imigh sé uainn. Ní bheidh a leithid arís ann, léigh a scéal féin nó cuid de sa ‘Cín Lae Bobby Sands. Ag an deireadh, chuir Seán Mag Uidhir comhtheacs leis an scéal agus leis an aistriúchán. Labhair sé fán ionsporáid a fuair sé ó Bobby is na leaids eile agus é féin faoi ghlas. Thug sé buíochas don Bobby Sands Trust as cead a thabhairt don togra agus do Phádraig Ó Snodaigh is Coiscéim as an leabhar a chur i gcló. Why are all the Troubles’ films about republicans?